The Long Point Causeway Improvement Project is a community-based effort to revitalize the 3.5 kilometre-long causeway that links the Long Point Peninsula on Lake Erie with mainland southern Ontario. 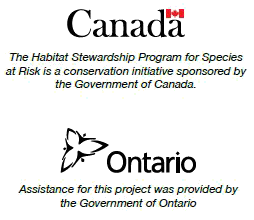 This project was done in partnership with the Long Point World Biosphere Reserve. A project in a remote corner of southwestern Ontario is being hailed as a landmark achievement and a model for other communities around the world. For decades, the causeway linking Lake Erie’s Long Point peninsula with mainland Ontario was among the deadliest places in North America for threatened and endangered reptiles. Researchers estimate that, since 1979, as many as 10,000 animals per year were killed by traffic on this 3.6 km stretch of two-lane road. The Long Point Causeway Improvement Project has changed all that, dramatically reducing the incidence of fatal interactions between vehicles and wildlife by installing special fencing and culverts, and through public awareness campaigns and signage.